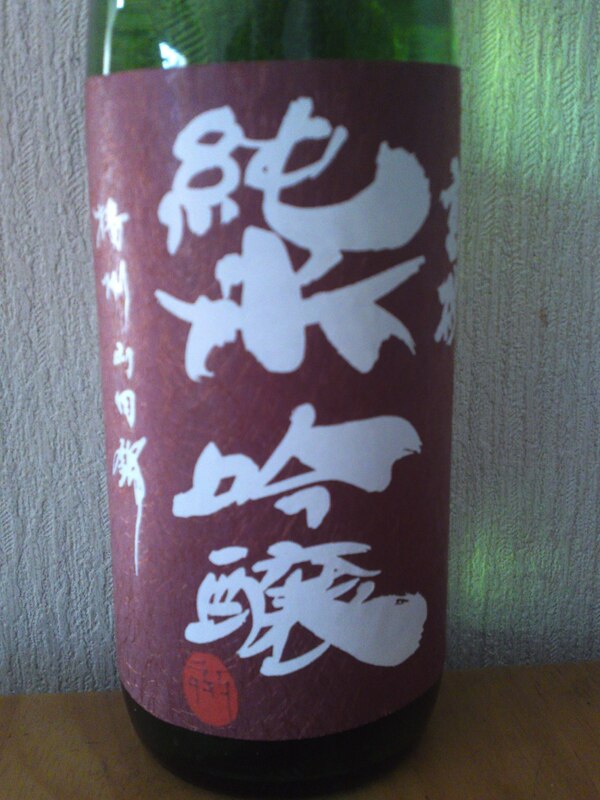 The “Oni Koroshi/Kill a Goblin” made by Oomuraya Brewery in Shimada City is probably the most famous Oni Koroshi in Japan and actually was the main brand sake of the same brewery. 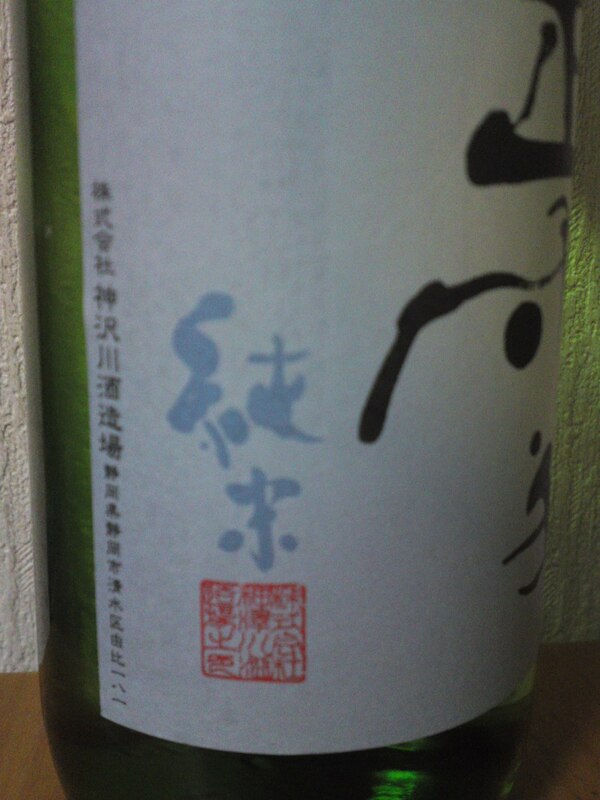 It is a very dry sake originally aimed at male drinkers but times have certainly changed and everyone is enjoying it! 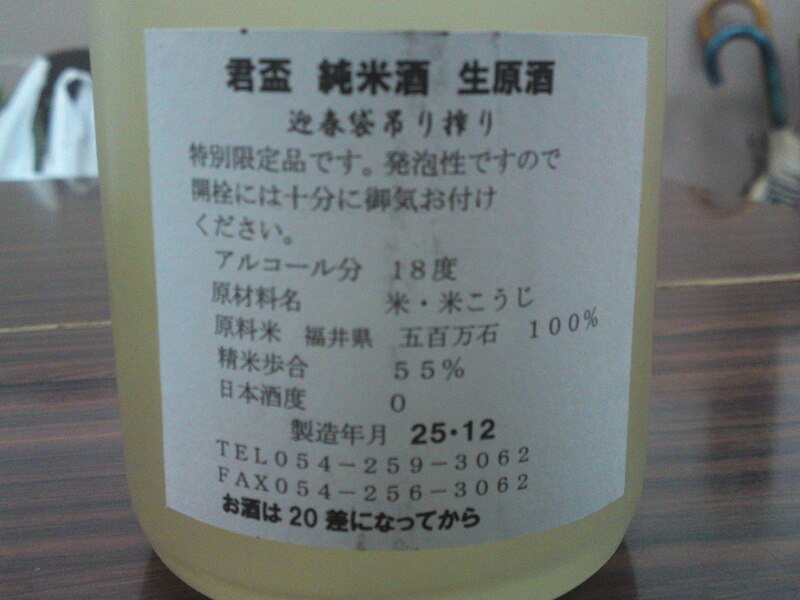 Alcohol not as strong as expected. Lingers only for a while warming up the back of the palate. 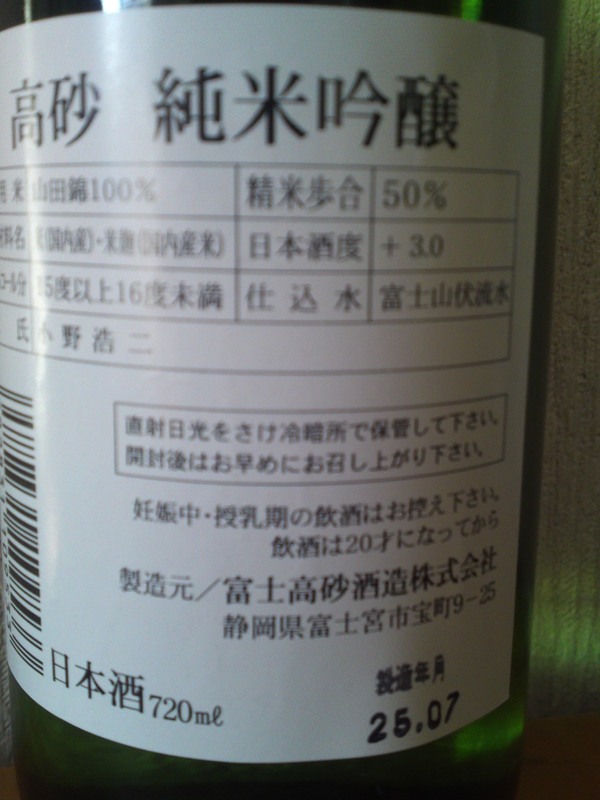 Changes little with food but for a mellower turn backed with stronger alcohol. Turns mellow with soft nuts once away from food. 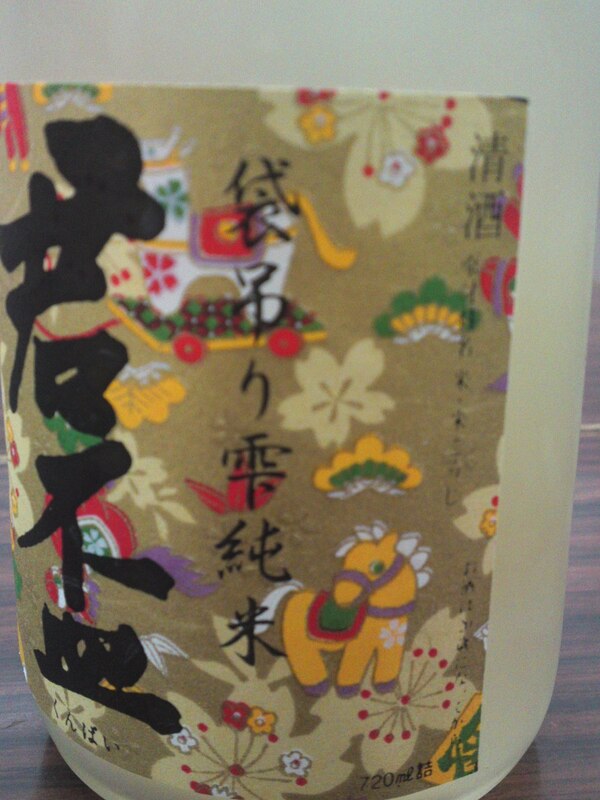 As a nurukan/lukewarm shows drier but fruity facets. Turns then very dry but pleasant. 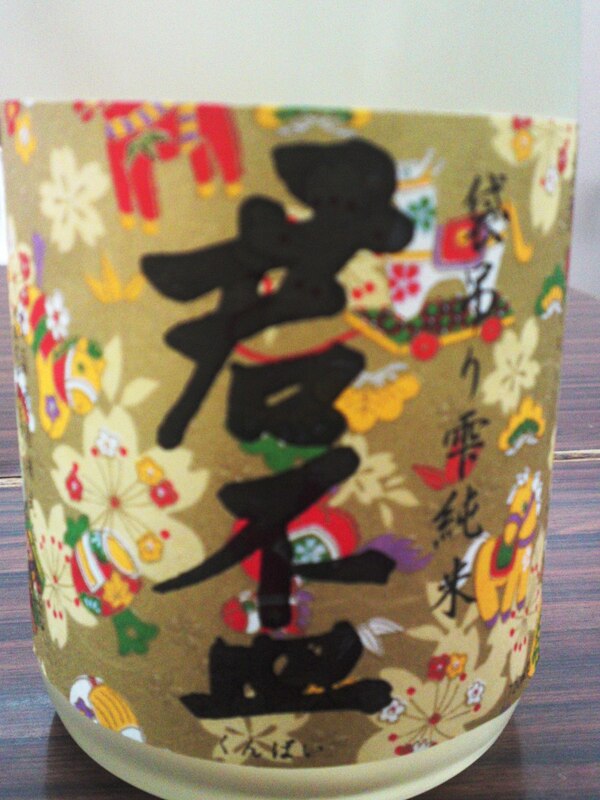 Overall: A sake for all seasons, especially with food. 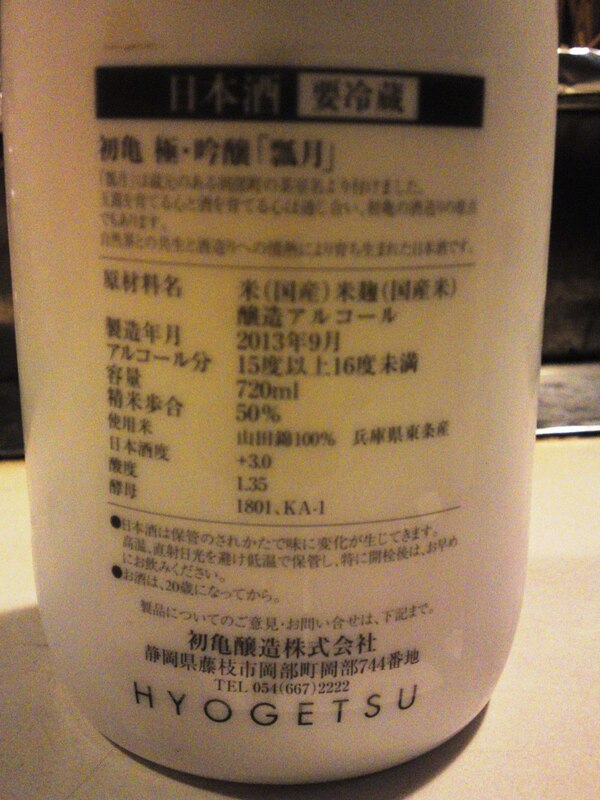 Can be enjoyed any temperature. 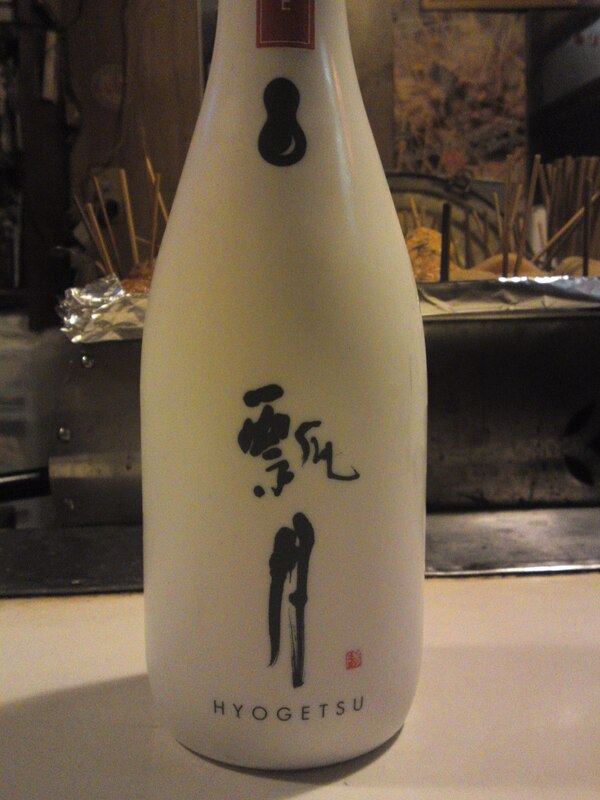 Another sake to bring at a BBQ or a raucous party! Kumpai might be the smallest brewery in Shizuoka Prefecture but they certainly produce some supreme nectars! 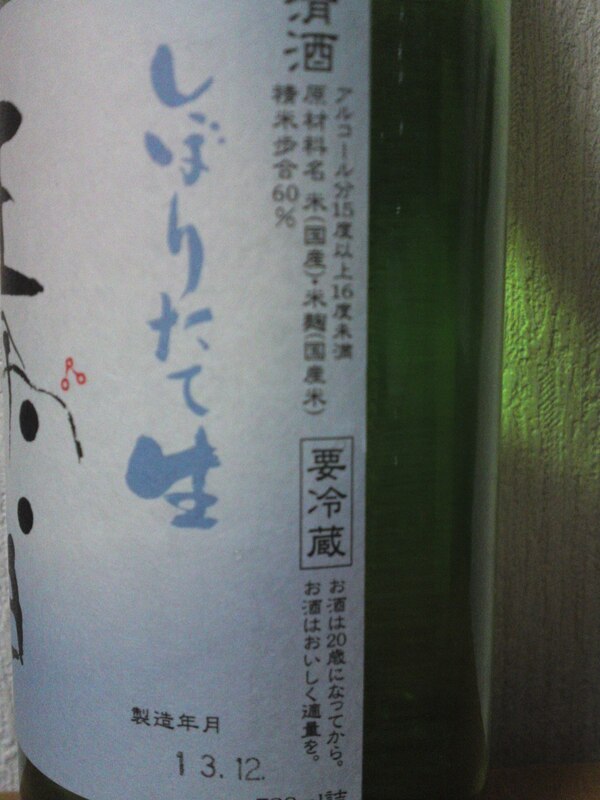 Incidentally the Ichikawa family produces their own labels! You can see that 2014 is the Year of the Horse! 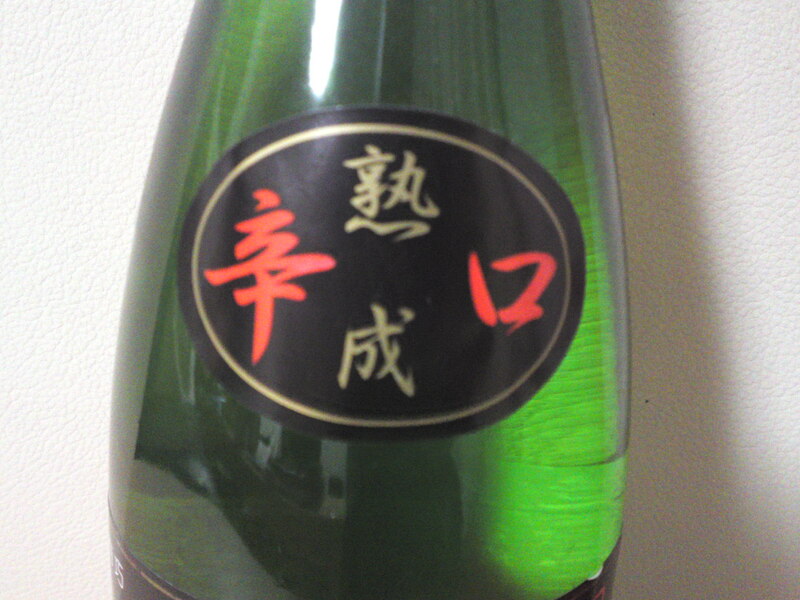 Taste: Strong attack backed with puissant junmai petillant. Soft and complex: liquorice, pears, nashi. 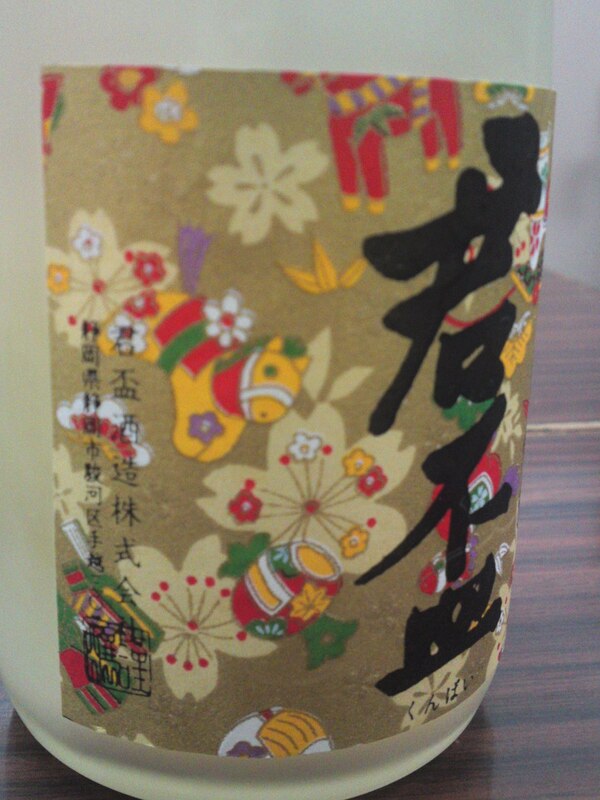 Very easy to drink in spite of its nama and genshu status. Changes little with food but for a sweeter turn. 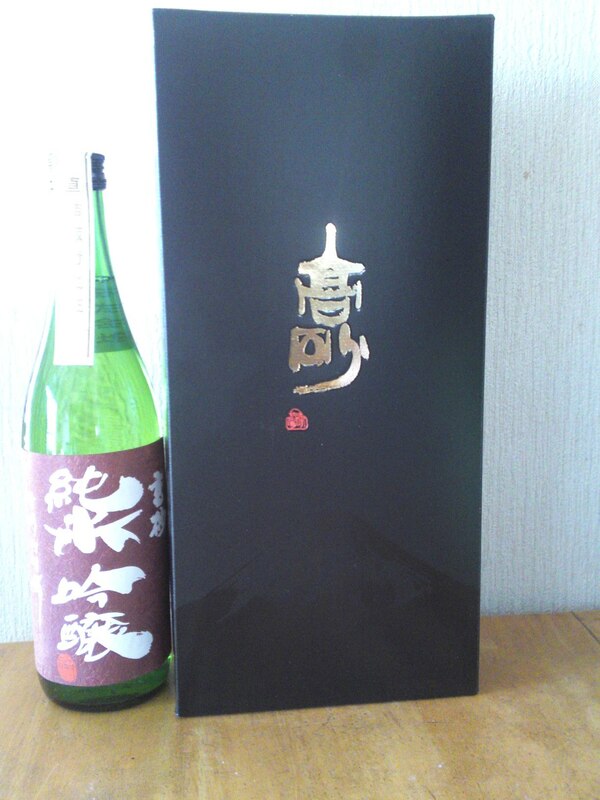 Overall: A thoroughly enjoyable limited quantity sake that might be very difficult to obtain (I ordered it directly from the brewery!)! Chilled, it makes for a superb aperitif. Could easily replace a liqueur! Should definitely please ladies in spite of its “rough” status! If you must eat with it, do try it with blue cheese or chocolate! Winter is a great time to taste all those shiboritate/just pressed sake as they will also give you a good idea of what to expect from a brewery every year! 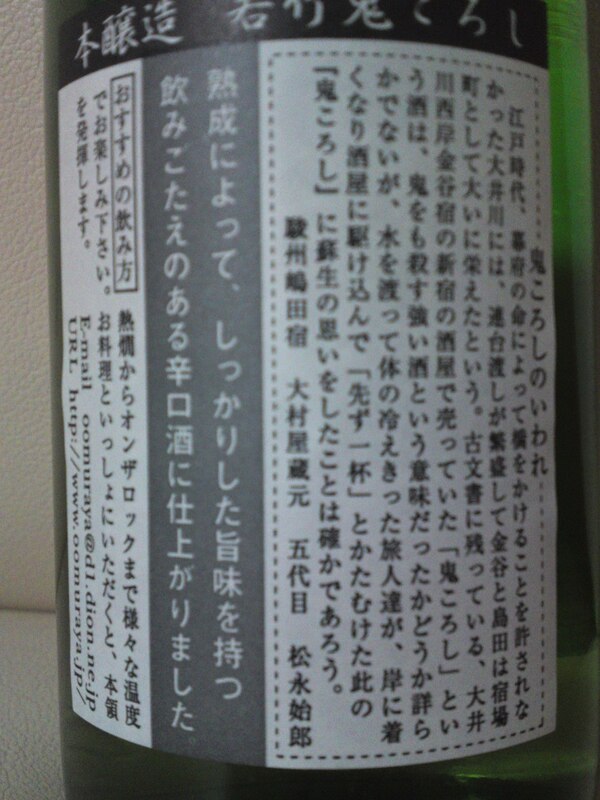 People usualy tend to have difficulties rememembering the difficult name of kansawagawa Brewery in Yui, Shimizu Ku, Shizuoka City, but their brand name, Shosetsu, is famous all over Japan! Taste: Well-rounded attack. Dry and fruity. Complex. Apples, pears, apricots, macadamia nuts. Disappears fairly quickly with late hints of macadamia nuts, almonds and oranges. Coffee beans appear later. 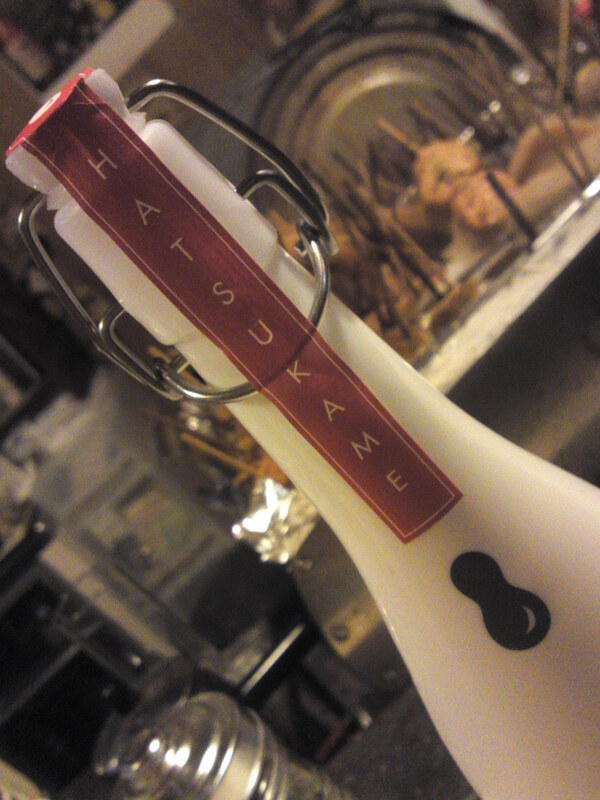 Comparatively elegant and easy to drink for a nama/unpasteurized sake. 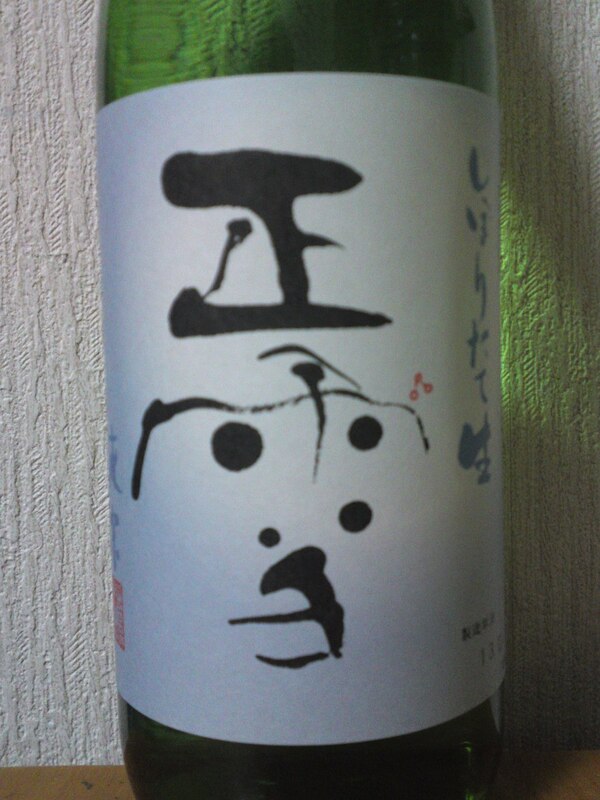 Takes on a drier turn and more junmai petillant with food. Insistently calls for the next cup! 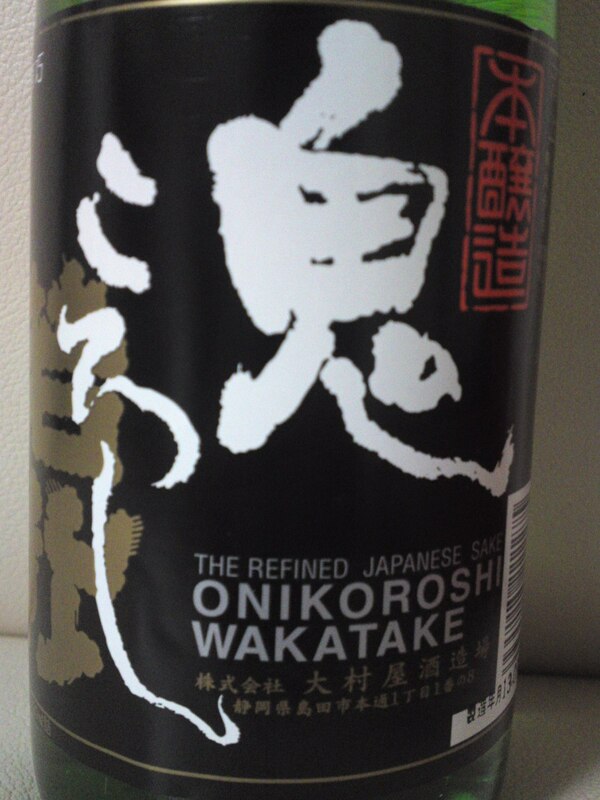 Overall: A very fine sake, subtler than expected for a nama. Chilled, makes for a superb aperitif. Beautifully drinks with any food, although thoroughly enjoyable on its own! 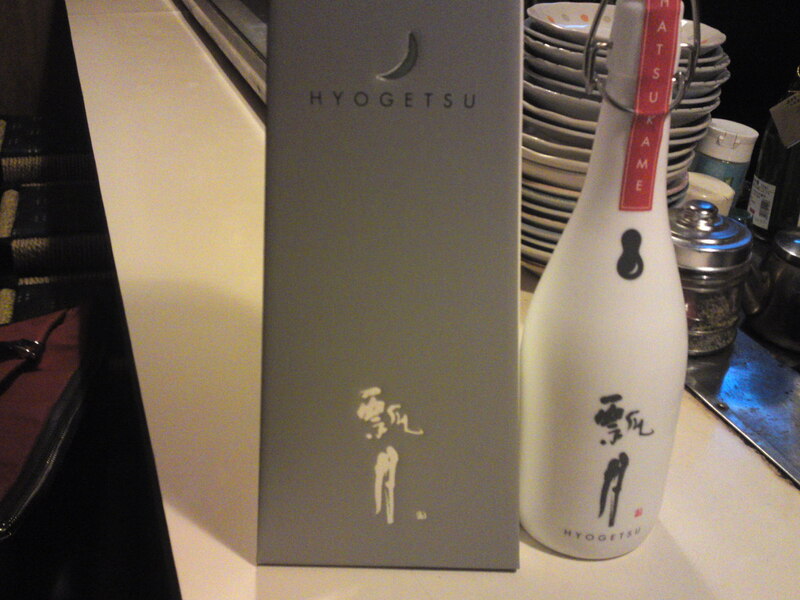 Hyogetsu is brand by Hatsukame Brwery in Okabe, Fujieda City, which have been known practically all over the world from the day its bottle recived the Best Bottle Design Award! Even the case is a beauty! Dry and fruity. Pears, bananas. Lingers for a while with dry dark choclate, almonds. Very satisfying and so easy to drink. Changes little with food but for a drier turn with the appearance of very dry oranges. Beautifully marries with food, especially light fare. Tends to show new facets with next sip, with or away from food. Overall: Best enjoyed slightly chilled and on its own although it combines so well with food. Thoroughly enjoyable any time of the day and night, by yourself or with great company! A superb present for a very important one!